Uluru – Kata Tjuta National Park is undoubtedly one of Australia’s most iconic tourist attractions with people coming from all corners of the globe to marvel at its geological and cultural wonders. 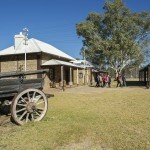 Uluru, the heart of Australia’s Red Centre, is synonymous with everything that is recognizable as outback Australian. 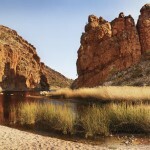 The giant glowing red rock, the vast surrounding dessert and the 40,000-year-old Aboriginal history are sure to inspire. Uluru-Kata Tjuta National Park is Aboriginal land, jointly managed by its traditional owners the Anangu people and the Parks Australia organisation. ATG Downunder can organise your Uluru adventure, from guided commentary onboard, to walking tours and hikes around the red wonder. 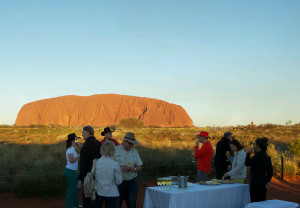 ATG Downunder also offers a unique and memorable experience of sunset canapés and beverages while overlooking the sunset colours of Uluru. A truly unforgettable and breathtaking experience not to be missed when visiting the Red Centre!